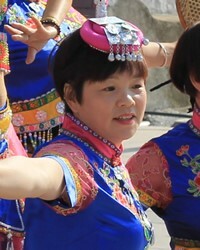 The She are one of the 55 official minorities of China. The vast majority of She have been assimilated to the Han Chinese or Hakka culture and language. Less than 1,000 She are still able to speak their language, primarily those living in Buluo, Zengcheng, Huidong, and Haifeng counties in Guangdong Province. The rest mostly speak Hakka as their first language. The She are reported in some sources to speak two distinct languages, which have between six and eight tones. She is described as an intermediary language between Miao and Yao. In addition to Hakka, many She speak Cantonese, Min, or Mandarin Chinese, depending on the locality. The She were known as the Hsiamin in historical records. 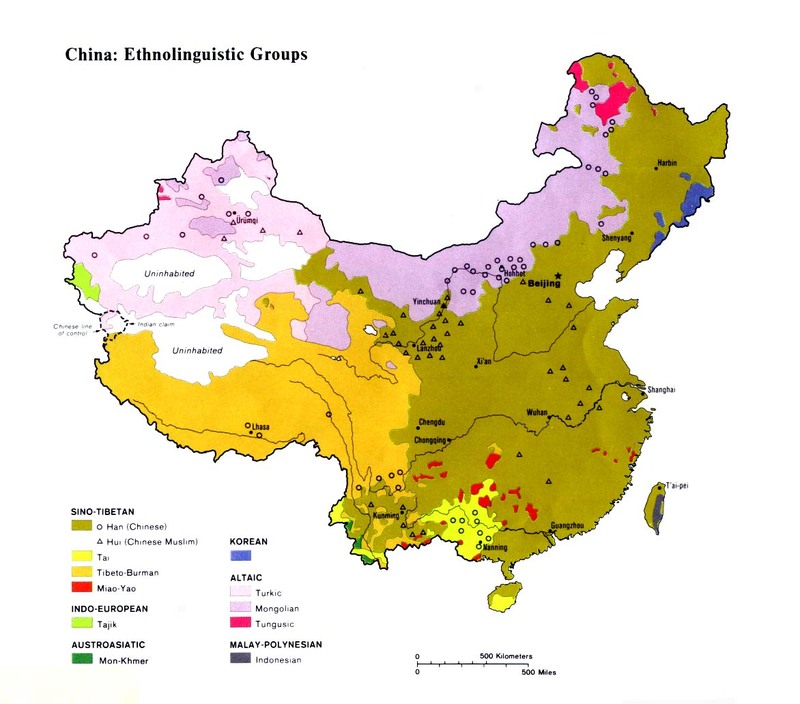 The linguistic affiliation of the She suggests they were once part of the ancient Yue race, from which today's Yao and Miao peoples are also descended. Much of the She's past has been one of harassment and struggle against the exploitation of greedy Chinese landlords. The She have been pushed from the fertile land into the mountains. Music is important to the She: "They sing in the fields, as well as on special festival occasions." When a guest comes to their village they are asked to sing songs. Most She spend their days tending to rice fields on their hilly land which also yields cotton, tea, and grain. When visiting a She home, visitors must place their umbrella outside the door: placing the umbrella inside is a way of announcing a death. The main religious adherence among the She is Daoism, mixed with ancestor worship. The She share the Yao belief in Pan Hu, the dog-king they believe was the forefather of their race. She folk songs, handed down orally from one generation to another, tell of the life of Pan Hu, who had a dragon's head, a dog's body, and was seven meters (22 ft.) in length. The She formerly worshiped the totem of this legendary animal and held a large festival in its honor every three years. Today every She clan has a scepter on which is sculpted a dragon's head - a symbol of their former worship of the totem. Although Roman Catholic missionaries were active among the She in the late 1800s, one recent report indicates little or no fruit of their labor remains. Although there are scattered Christian communities among the Chinese who live near them, the gospel has never taken root among the She. They are an unreached people group, living their lives with little knowledge of the claims of God or his offer of salvation through Christ's sacrifice. Most She could be effectively evangelized through the medium of the Hakka language. View She in all countries. Location in Country: The 1990 China census listed 630,378 members of the She nationality. The majority (461,000) live in the mountainous areas of Fujian Province. 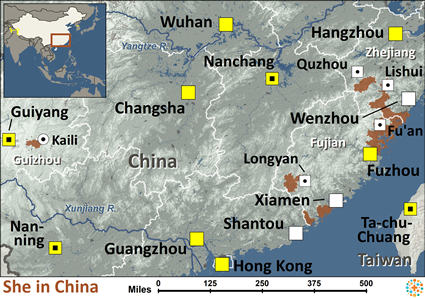 She communities are located throughout more than 120 counties and townships in eastern China, including Guangdong and Zhejiang provinces, while "a few tiny communities" are also found in Jiangxi and Anhui provinces.